The Marine Corps pushes into 2018 under a cloud of uncertainty. 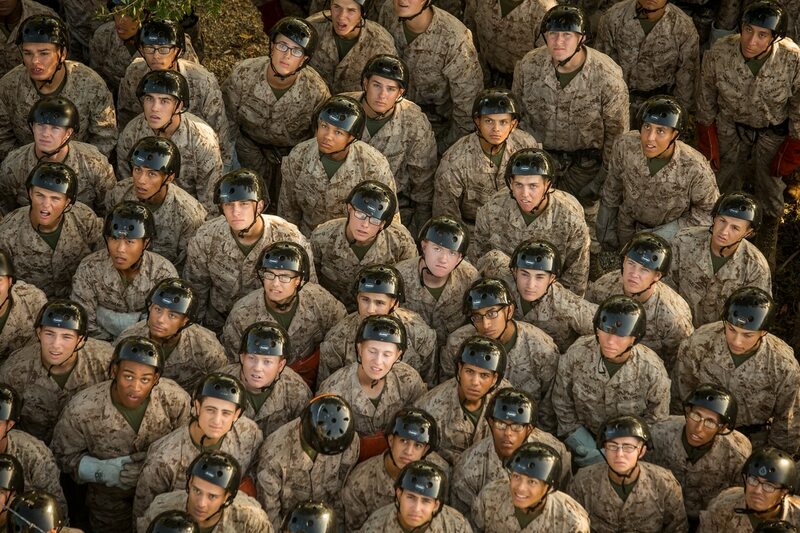 The Corps’ leadership wants to grow the force, but how to pay for it remains unclear. Marines are still in Afghanistan training, advising and assisting in a classic counterinsurgency fight, but the Corps also feels a growing urgency to prepare for a full-scale conventional fight against a near-peer adversary like Russia or China. The readiness problems of the past five years are more pressing than ever — especially in Marine Corps aviation — but the top brass has been unable to offer a long-term solution. Here’s a preview of what’s in store — and what’s in flux — for the Marines in 2018. Plans to grow the force may be on the back-burner in 2018. Marines in Hawaii have been testing the new tropical uniforms. The Marine Corps will be adopting the Army’s enhanced 5.56mm rifle round for Marines in combat. F-35Bs will deploy with two Marine expeditionary units in 2018. The first four new heavy-lift helicopters will be delivered in 2018. Troops will have to decide to stay with the traditional military retirement system or move to the new Blended Retirement System. Is your doctor part of the new Tricare network? The annual pay raise and ongoing military housing reform proposals will once again be a defense budget focus in 2018. In what appears to be a bit of deja vu for America’s longest war, U.S. troops will once again be patrolling alongside their Afghan counterparts in far larger numbers and at a more tactical level than the previous years. The Islamic State group’s physical caliphate in Iraq and Syria has been destroyed, but the group is not defeated. The ­Marines will select a new combat Assault ­Amphibious Vehicle to replace the current fleet. The workhorse vehicle will remain in use until 2035. The Ground/Air Task Oriented Radar has been under development for a decade. Lt. Col. Joshua Kissoon was charged subsequent to the death of recruit Raheel Siddiqui. Benefits will expand for post-9/11 Purple Heart recipients. Each service was directed to provide recommendations on how to streamline training requirements. Many battles that have a special place in Corps history will have major anniversaries in 2018. Tara Copp, Natalie Gross, Karen Jowers, Jeff Schogol, Leo Shane III, Shawn Snow and Todd South contributed to this report.